There is a reason that the Marathon Racer is the stock tire on nearly every trike we sell. 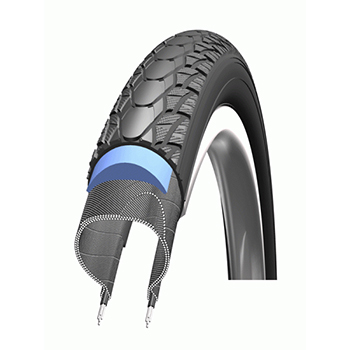 It is a fast-rolling, smooth-riding tire with excellent puncture resistance. "I hate flats but love speed"
"Schwalbe Marathon tires I am a big guy , 310 lbs and I have over 2600 miles on my Marathons without one single flat or problem even though I do a lot of riding on the gravel and dirt roads in my area. I will always use them." 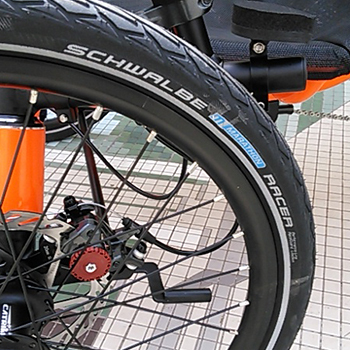 "I have always trusted schwalbe tires on every recumbent I own, and the marathon racer is a great combination of durability and rolling resistance." "I love the long lasting Schwalbe tires"